Presentation of Ph.D. project on war remains in Norddalen, Troms County. 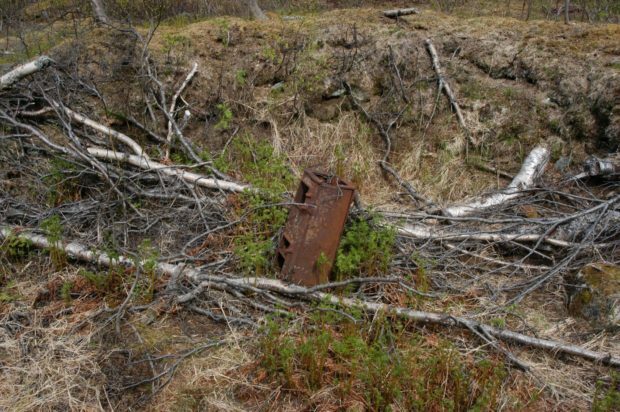 This project focuses on WW2 war remains in Norddalen, today a place relatively secluded and overgrown, but once a place of gruesome events and war crimes under the direction of Nazi ideology. 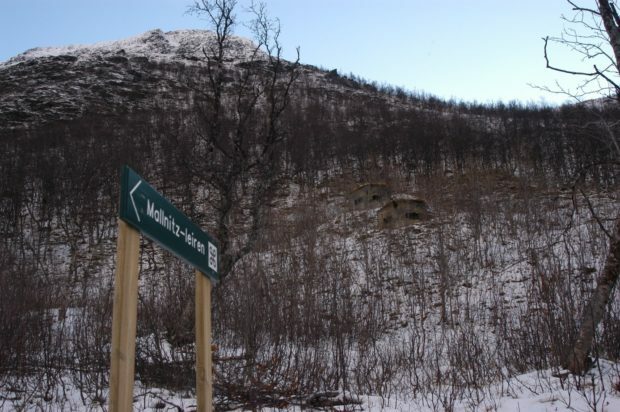 From being a remote valley, Norddalen became within the short winter months in 1944-1945 a place where many prisoners ended their lives – and in the postwar period the valley has reclaimed some of it parts and slowly entangled and grown together with the remains of war, somewhat hidden from the public eye. This area is abundant in such remains, however they have received little attention from academia or heritage. While long “forgotten”, as subjects of a difficult and often overlooked history, these and other remains of war are today in the process of being included in the category of cultural heritage, and as such of significance in a local and national historical sense. 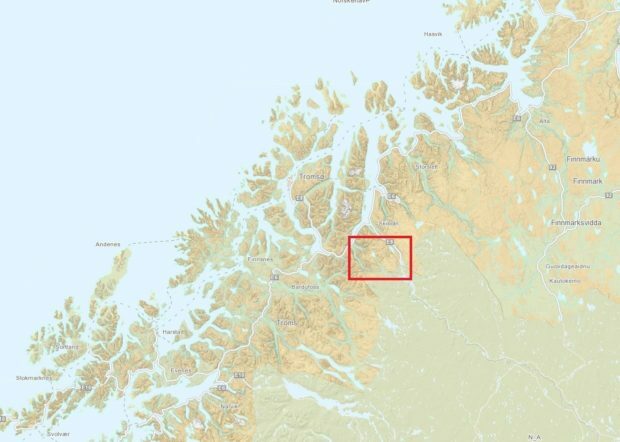 What follows is primarily a historical presentation of the German internment camps operated in Norddalen in Storfjord Municipality, Troms County, during the terminal months of the Second World War. Figure 1: Overview over parts of northern Norway. The actual area highlighted in red. The prisoners of war were spread out on four camps that the German (most likely Austrians) soldiers – by virtue of homesickness or tart irony, named after Austrian cities; Spittal, Kitzbühel, Gastein and Mallnitz. Were the latter even was named after a well-known health institution in Austria. Mallnitz and Kitzbühel were recorded when the War Crime Commission inspected the area in June 1945, due to reports from surviving prisoners about gruesome events. Here, nearly 150 prisoners of war were executed, beaten, tortured and starved to death. Norddalen is a natural extension of the main valley Kitdalen, which mouths into the Lyngenfjord. 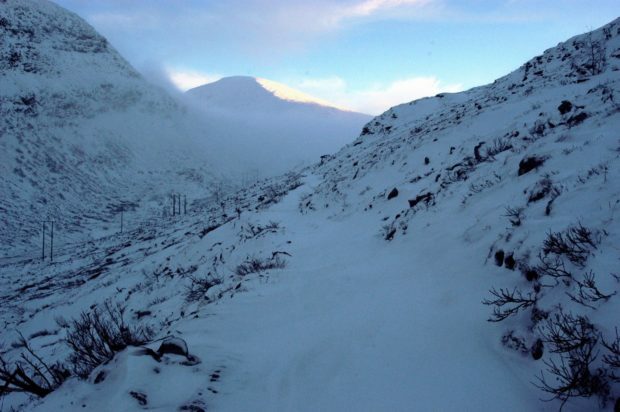 It is located in Storfjord municipality, Troms County, close to the borders to both Sweden and Finland to the east. 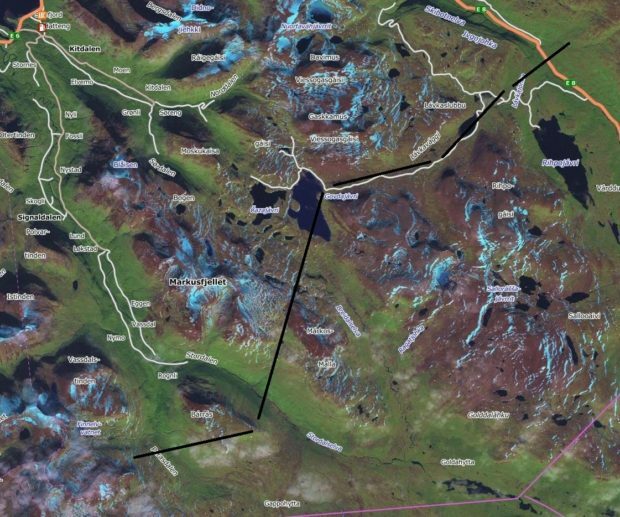 Norddalen and other valleys in this borderland have been important routes of transport and communication through history, which during more recent times of war has also rendered them strategically significant and resulted in the construction of two extensive lines of defense during the Second World War and the Cold War respectively. The establishment of the Lyngenline was associated with the peace agreement between Russia and Finland on the 4. and 5. of September 1944, and the Great Russian attack on German forces at the Litzafront (Kola peninsula, Russia) during October 1944. The Germans withdrew after orders from Führerhauptquartier during the fall and winter of 1944, for 24 days the Russian forces pushed the Germans back, and on 25 October, Russian forces occupied Kirkenes. Following this the Germans initiated Operation Nordlicht: a complete withdrawal from Finland and Finnmark to the Lyngen area. As the Germans withdrew to Lyngen, they burned down and destroyed major parts of the infrastructure in Finnmark and northern part of Troms County, including homes, churches, piers, bridges and even hospitals. As they halted in Lyngen, the Lyngenline was formed as a crescent-shaped fortification that stretched from the bottom of Lyngenfjord to Narvik in Nordland County. 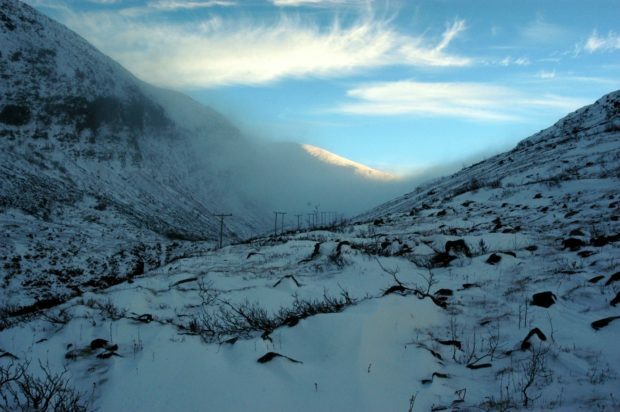 One of main defense line was erected between the valleys of Skibotndalen, Kitdalen, Stordalen and Parasdalen, and became known as the “Kitdalstellung”. The lines were composed of firing positions, bunkers and other defensive installations spread throughout the mountainous landscape, many of them partly in inaccessible locations between 800-1200 meters above sea level. This becomes even more dramatic when considering that most of the construction work took place in the winter darkness, starting in the autumn of 1944, including the construction of ca. 550 support points, several cable railways, and many kilometers of roads. The 6th Bergjegerdivision, composed of approximately 14,500 soldiers, was responsible for the construction work. With them, they had a labor force of around 10,000 prisoners of war – mostly Russian POWs. Figure 2: The defensive line crossed several valleys to the Swedish and Finnish border to the east. In the war’s direct aftermath a commission was appointed to identify, register and document evidence of German war crimes. The commission had received information about possible war crimes in Mallnitz and Kitzbühel, which was proved correct as the commission uncovered shocking evidence of cruelty and inhumanity that far exceeded what anyone had thought possible. Mallnitz was established in November / December 1944 and was until 16 April 1945 run as a “normal” labor camp. From this point on, however, Mallnitz became a place where prisoners were sent to die. One of the reasons for this was that in April 1945 General Jodl informed that food rations to prisoners who were no longer able to work, should be cut down, and the profits given to those who were still able. During april of 45 rations were down to 1300 calories per day. Hence, Mallnitz became known as a “death camp”, and from April to May 1945 only 67 out of the 272 imprisoned there survived the war, and 25 died later of their injuries. Conditions in the camp were horrific; the cabins were built with earth, turf and branches of birch trees as roofing, the beds made out of wire without mattresses. The prisoners got injections, presumably camphor injections. There is some uncertainty regarding the reason for these injections, but one of the reason could be that camphor injections, given in correct amounts, is a common treatment for heart weakness and is a known stimulant. Large doses, on the other hand, is lethal. The commission uncovered four mass graves with a total of 143 corpses, and identified three cases of cannibalism, and many executions. Michael Seredenko, who survived Mallnitz, tells that chances of survival were slim. About 70 men slept in the same plywood tent, stacked in bunker beds and on the floor. They had no mattresses, but lay on wire netting attached to tree trunks on the floor. On April 29th, 68 men slept in Seredenko’s tent; only 10 were left on May 11th. Figure 3: Mallnitz: They never left. An oven stands firmly in its own otherness, perfectly “plunged into the movement of time” (Olivier 2001: 181). Photo: Ingar Figenschau. Most of the structures in the camps are clearly visible, and in some places, things even appear more or less intact, as the oven in Mallnitz that has stood in roughly the same place since June 1945. The affective and distinctive aspects of things; a crooked and rusty stove in Mallnitz, a cable railway chair situated outside Kitzbühel, almost waiting to be put back in use, the many dugout features that slowly uncovers their material layer and which grows in size by spreading its elements into the environment, the prefabricated bowed rafters which is neatly stacked as they were recently laid down, or the strongly weathered remains of a plywood tent that has shrunk towards a fictitious center. They are all ongoing processes and develop in their own speed, forming new constellations and holds no direction or consensus on how to live on. There is a diversity in the many structures that at first glance may be perceived as monotonous. The same can be said about the objects, all of which possess their own physical voice. Things are not so uniform when looking closely at them, and not least how things are perceived in its “free” natural otherness. The tangible and material remains is located in an open landscape that is not led by marked trails or signs that convey added opinions and pre-interpretations narratives. War remains in Norddalen has its affective force through the natural conditions, the self-composed conservation and landscape epiphany, which, in our account allows for involuntary and often surprising recollection, reflection, curiosity and wonder – and not least, this happens in a detached and open context (that exist with or without us). Figure 4: Nature and culture entangled in Mallnitz. Photo: Ingar Figenschau. 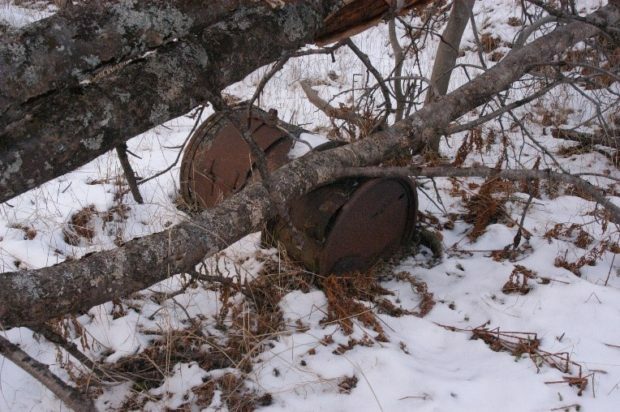 However, what would happen to these remains of war, these entangled and rusted things that persist to exist as a prolonged and very physical evidence of the war – a war that never really ended – when they are subjected to protection? Today there are information boards that are part of a (future) communication of war memories. It is also currently in an application to the Directorate for Cultural Heritage where several war memorials are proposed protected. Figure 5: Bunkers from the Frøy-line overseeing the surrounding landscape at Mallnitz. Photo: Ingar Figenschau. Figure 6: A cold view from Gastein towards Kitzbühel. November 2015. Photo: Ingar Figenschau. POW camps and related structures from the Second World War are about to change status. Recent years have shown an increased interest in remains of war – both locally and nationally. Hence, the war remains in Norddalen will in near future be subjected to processes of conservation management and mediation generally associated with “normal” or “conventional” heritage. An important concern of this project is to follow and critically scrutinize this transformation; that is, which factors come into play when war remains “grow into decay,” but simultaneously what happens in the transition from war remains to becoming heritage. How do material/tangible process of decay and degradation affect the intangible affordances of these remains? For example, does growing into decay, gradually terminate/lessen elements that have been important for upholding and concretizing their association to a war remembrance of a primarily negative status and identity? Will the transition from being a memory associated with war, to become a memory associated with culture/heritage change the way we see, experience and convey remains of war? Moreover, it will be interesting to ask whether and how protection will benefit war remains, or whether their incorporation into a category of cultural heritage will transform and waive them their individuality, character, value, existential dynamics and peculiar significance – will a transition from being war remains to become heritage be at the expense of the structures and the things peculiarity and temporality? At the same time it will be important to examine what role the effective history, politics, collective memory, personal recollections and not least time, play in the biography of war remains. Moreover, to what extent does the ongoing inclusion of war remains as official heritage reflect a “democratization” of heritage notions, and can it reflect something else? At the same time it will be important to examine how a history of horror and alien politics is to be commemorated, and how a possible tension between collective commemoration and personal memory in relation to these war remains is to be dealt with. Moreover, to what extent does the ongoing inclusion of war remains as official heritage reflect a “democratization” of heritage notions? On the other hand, can traditional processes of physical heritage management, characterized by conservation and sanitization, result in a “normalization” of these contested remains. Olivier, L. (2001) The Archaeology of the Contemporary Past, in Buchli, V. & Lucas, G. (eds), Archaeology of the Contemporary Past, p. 175-188, Routledge, London.